Hello, and welcome to Pittsburgh, AKA the City of Bridges (446 to be exact! 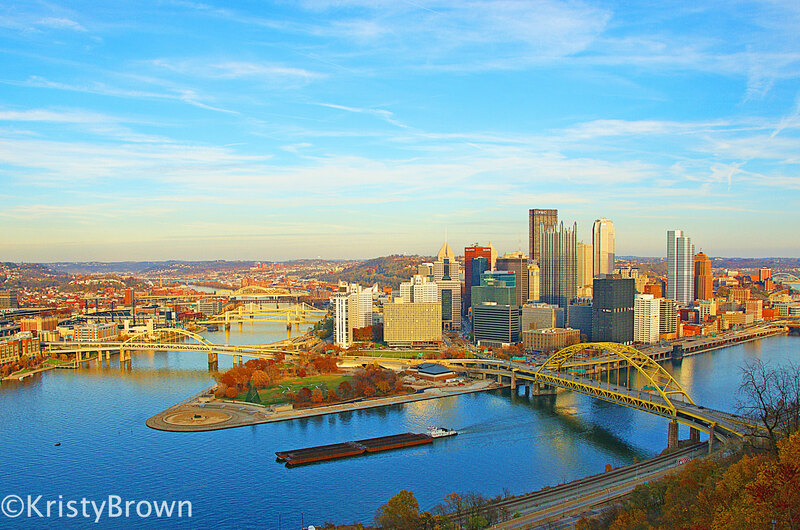 ), the Steel City, Steel Town USA, Sixburgh, Blitzburgh, Home of Heinz Ketchup, Mister Rogers’ (actual) Neighborhood, Three Rivers, Yinzers, City of Champions, and America’s Most Livable City! I know a lot of people still think Pittsburgh is dirty and polluted, and don’t ever want to visit, but I’m going to let you in on a secret, and show you that it’s beautiful! I’m lucky enough to live in the middle of this beautiful city, so I have many running routes, and this is one of my favorites! 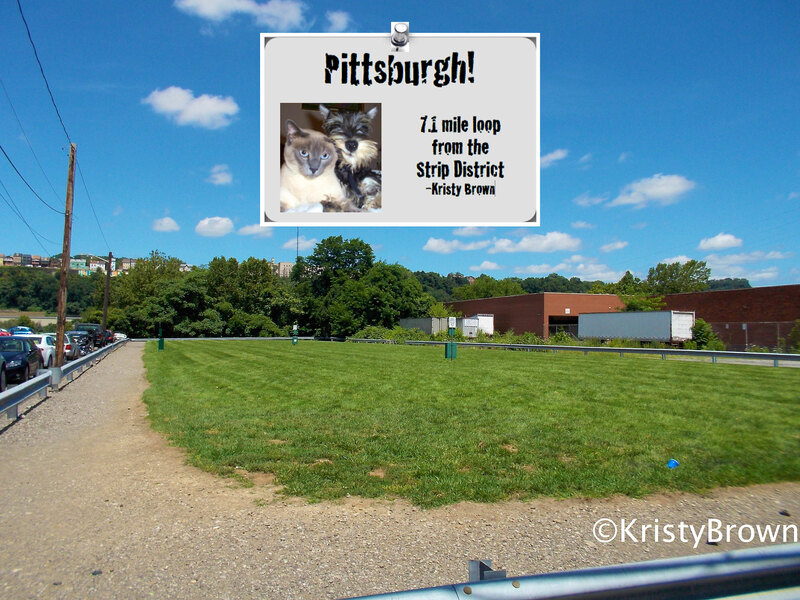 It’s a 7.1-ish mile loop, and it starts at the Cork Factory’s dog park, on the corner of 25th and Railroad St, in the Strip District. I love animals, and frequently donate to the Animal Rescue League, and actually ran for them at the Pittsburgh Half Marathon in 2012 (I didn’t run it in 2013). I have a dog, Archie (11) and a cat, Mason (15), and I wish everyone got to experience the joy that an animal can bring to your life. Adopt a pet today, and don’t forget to spay/neuter them! After your done petting the dogs, start running north on Railroad St. (away from the skyline) and turn right onto 30th St. Hang a left onto Penn Ave. and turn left onto the 31st St. Bridge. 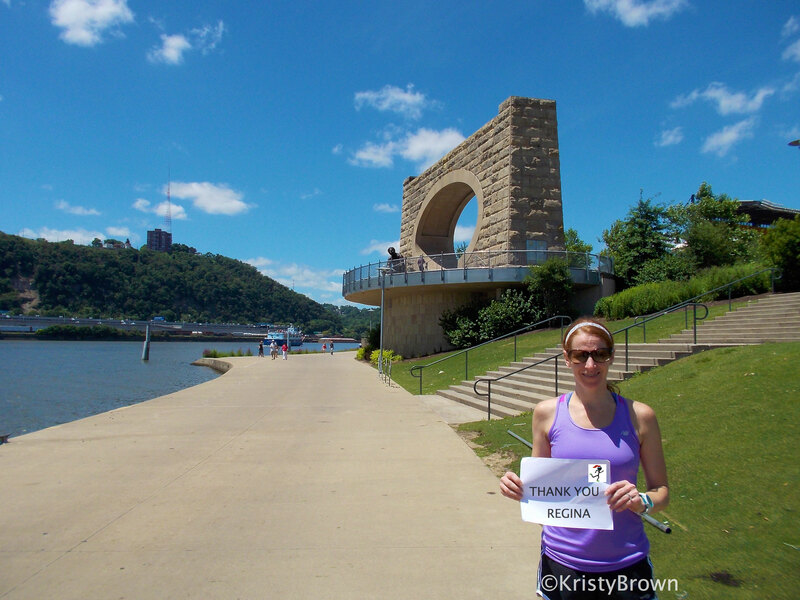 This blue bridge is one of my favorites in Pittsburgh! 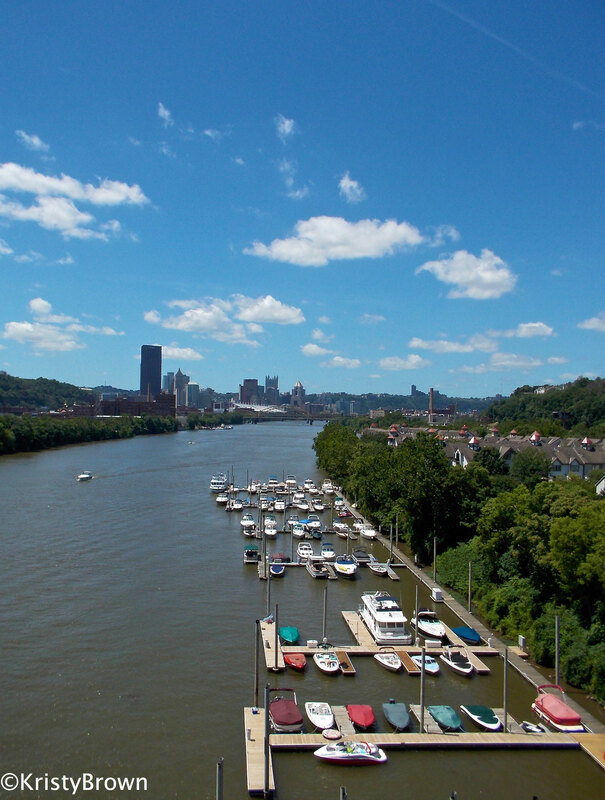 It spans across the Allegheny River, and offers fabulous views of the city! I made this my first stop. I want to thank the City of Pittsburgh and it’s officials, for not only cleaning up the city and making it beautiful, but for using the funds to give us so many beautiful trails, walkways, and parks for running and biking. 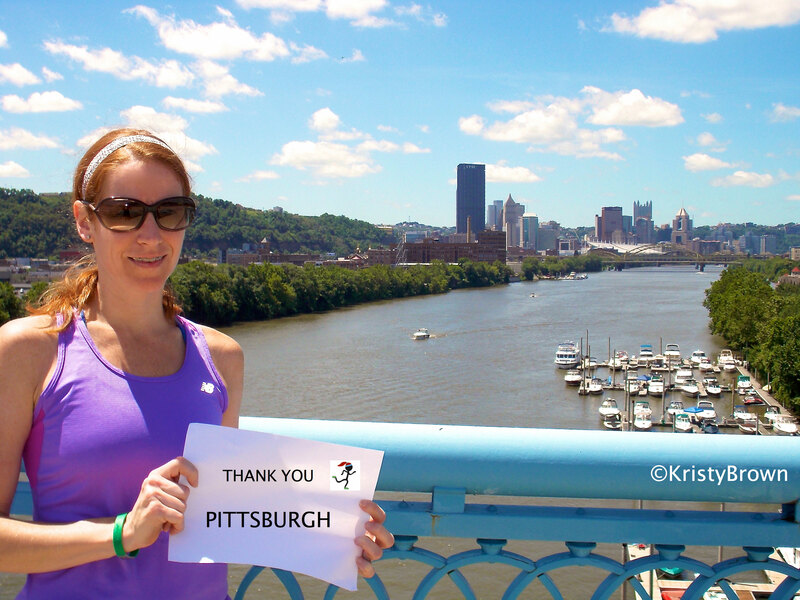 I love how popular running has become in Pittsburgh! Continue running down the 31st St. bridge, turning left onto Herr’s Island, or Washington’s Landing. Run under the 31st Bridge, to the left of it’s pillar. Here you’ll run across a parking lot, and to the right, you’ll stumble onto one of our favorite places to eat in the summer, RedFin Blues. The restaurant is on the river, and has a dock that offers boaters access. They have a large deck that’s over the river, giving you the option to eat outside, which we always do. This is stop #2. Here I’d like to thank my husband Delano, for his continued love and support in life, and in running. (I know that I’m not always easy to live with). He’s been to almost every race I’ve ran, and was just as excited as me, when I qualified for Boston the first time. Continue on the trail that’s in front of Redfins, towards the townhouses, and Pittsburgh. This part of the trail is so nice and soft, and you’ll probably see a bunny every 6 feet or so. 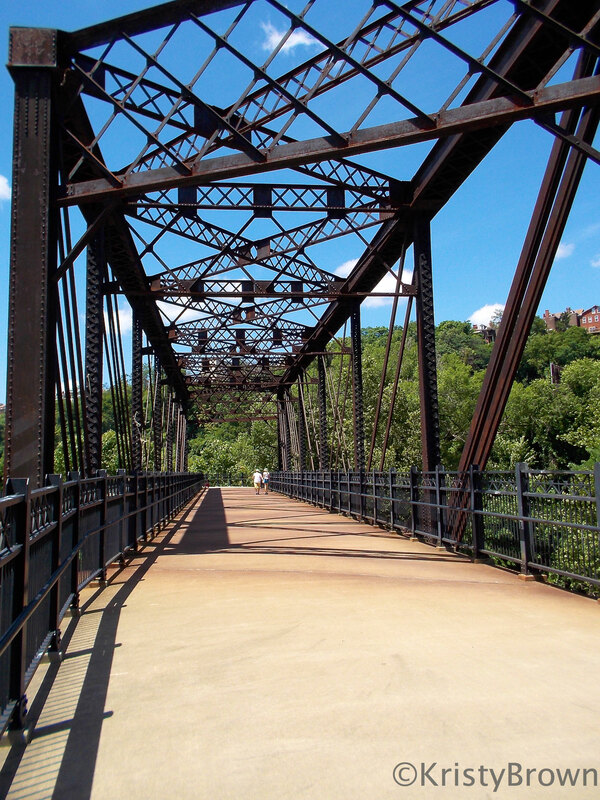 Enjoy the view of the skyline, as you run over an old railroad, turned pedestrian bridge. Turn left onto the trail, as you come off of the bridge switchbacks, watch for bikers! 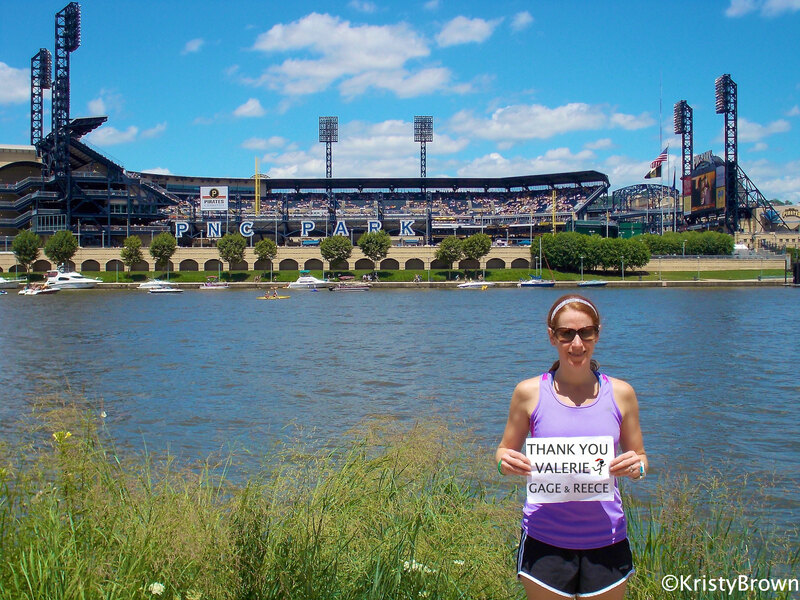 Continue on the trail, and enjoy the views of the Allegheny river and skyline. I usually see a few rowing teams in their Dragon Boats and several kayakers. You’ll run passed the H.J. 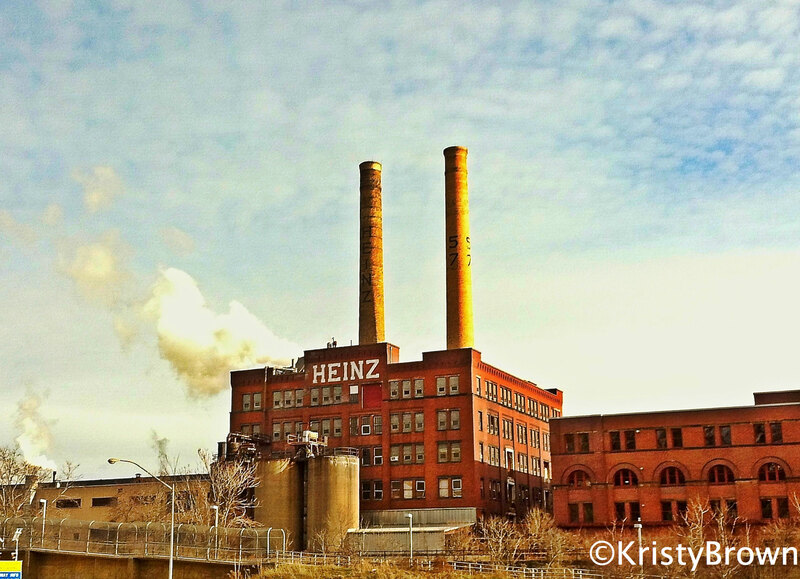 Heinz Factory on the right. You’re on the backside of it, but you can see the old smoke stacks over the first building. I LOVE Heinz ketchup! Soon you’ll run under my favorite bridge, the 16th Street Bridge, which was just renamed the David McCullough Bridge. After running under another bridge, you’ll run passed the Pittsburgh Marathon offices, and then under a railroad bridge. 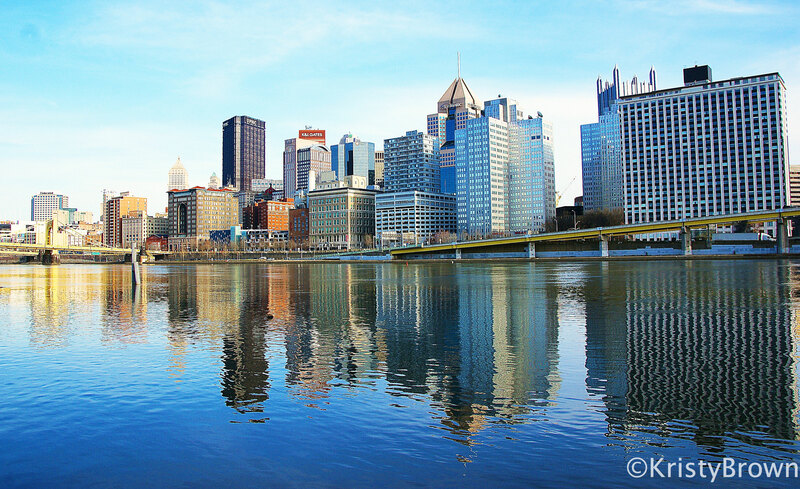 Across the river, you’ll see the David L. Lawrence Convention Center, before coming to Pittsburgh’s golden triplets. The Andy Warhol Bridge, the Rachel Carson Bridge, and the Roberto Clemente Bridge, are three identical, yellow bridges, that are side by side by side. This is stop #3 for me. Here I’d like to thank my mom and dad, who have always, and continue to, support my crazy antics. Continue on the trail along the North Shore. You’ll run passed/under the triplet bridges, KAYAK Pittsburgh and bike rental, River Police, and PNC Park, home to the Pittsburgh Pirates. Along this stretch you’ll see a bunch of ducks and geese, and you may encounter the Just Ducky tour, which are converted WWII military vehicles (DUKW), that tour Pittsburgh over land and water. Use caution when looking to the left during this stretch, you may get distracted by the view, and fall in the river. On your right you’ll see a multi-level, cascading fountain that kids like to play in, and you’ll run under the Fort Duquense (pronounced do-cane) Bridge, before coming up to the Mr. Roger’s Memorial, which is stop #4. 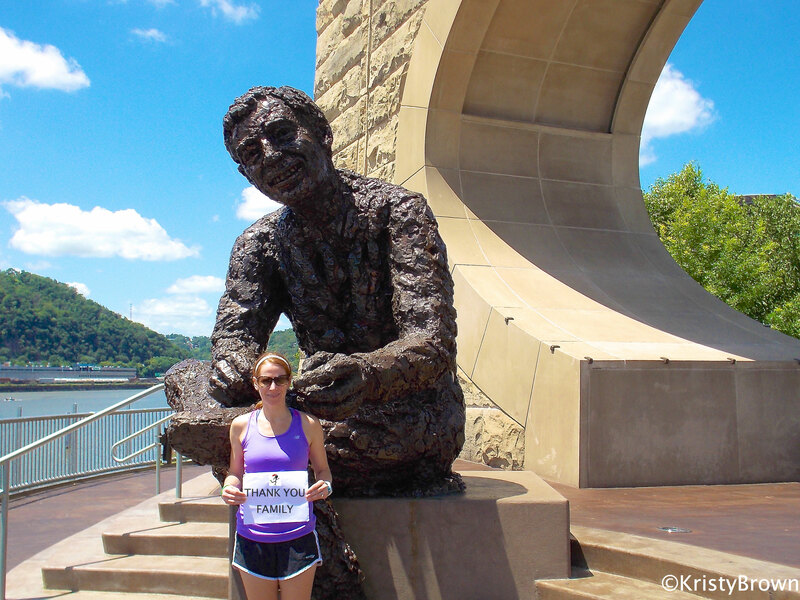 This memorial is carved out of an old bridge support, and it honors Pittsburgh’s own, Fred Rogers, may he rest in peace. At this stop, I’d like to thank my mother-in-law Regina, who has always been supportive and welcomed me into the family from the beginning. She’s also a half marathoner! Run passed the memorial, and soon you’ll see an under the road entrance, over to Heinz Field, home of the six time Super Bowl Champions, Pittsburgh Steelers. Continue on the trail, and run up a short hill, and then turn right onto the sidewalk. 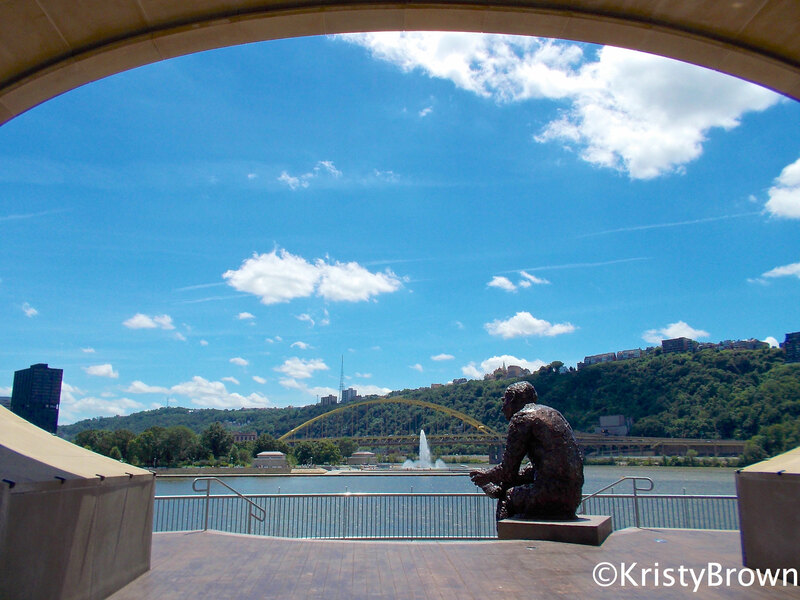 Soon you’ll find yourself running passed Heinz Field to the left, and you’ll be at the top of the Mr. Rogers Memorial. 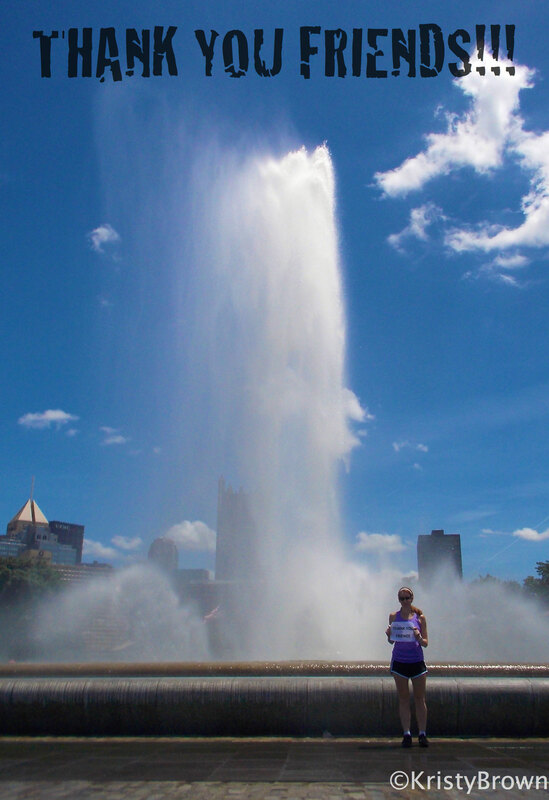 Walk over to it, for amazing views of the city, Fort Pitt Bridge, and the fountain at Point State Park. This is stop #5, where I’d like to thank the rest of my family. While we don’t always get to see each other as much as we should, it’s nice to know that we’re here for each other. Continue down the sidewalk, back towards PNC Park. Here you’ll run passed Jerome Bettis’ Grill 36, Stage AE, Pittsburgh Grill, and Rivertowne, before coming upon the stairs and switchbacks up to the Fort Duquense Bridge. Turn right onto the bridge switchbacks, and make your way across the bridge, and onto Point State Park. 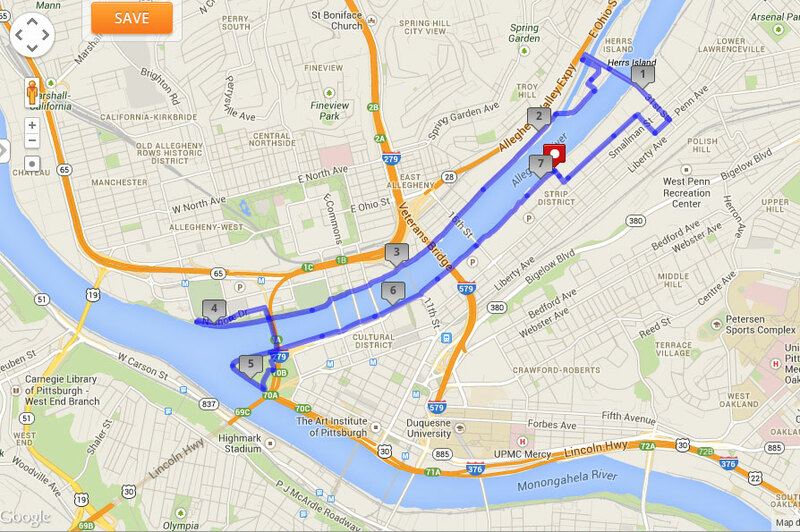 Run straight and towards the Monongahela River, where you’ll run down the 5 or 6 stairs, so you’re along the river. 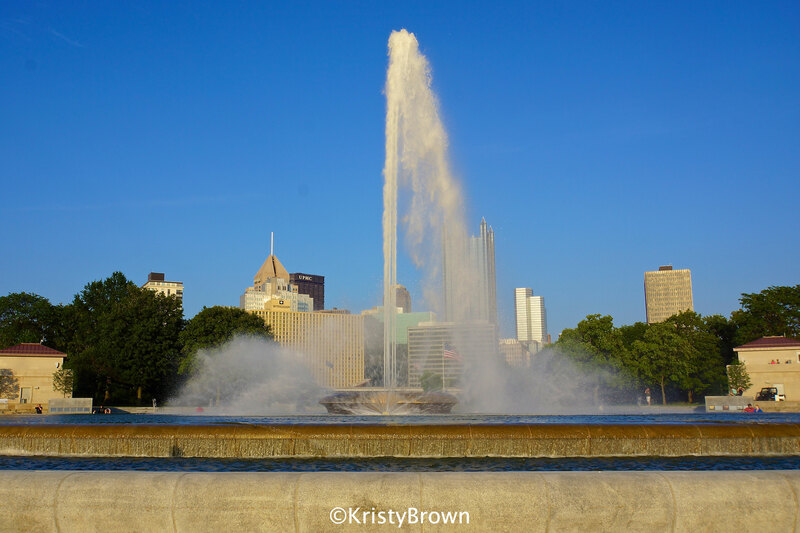 Turn right, and head towards the tip of the Point, where you’ll come up to the newly renovated, Point State Park fountain, which is stop #6. Here I’d like to thank my friends, whether in person, or online, you continue to inspire me, and your support means the world to me. You’ve all taught me that no goal is out of reach. Continue around the fountain, and head north up the trail, so the river is on your left. Across the river, you’ll see the sights that you had just ran passed. This section of the trail has a lot of cracks and potholes, so use caution. Soon, you’ll be across from the most beautiful stadium in baseball, PNC Park. This is stop #7, where I want to last but certainly not least, thank my sister and BFF, Valerie, and my two nephews Gage and Reece. You guys mean the world to me, and I thank you for your continued love and support. Continue up the trail, passed the David L. Lawrence Convention Center. You’ll probably see the water feature turned on, in the walkway on the right, which is pretty cool. Keep running up the trail, enjoy the shade. You’ll soon be running behind the Cork Factory, which are now luxury apartments. When you see the dog park again, turn right onto the cobblestone road, and your loop is complete! I hope yinz enjoyed running around Pittsburgh as much as I do!! See, that’s why we’re such good friends, and sisters, we both look up to one another. I found a your that’s supposed to be you’re. I need to proofread at least ten times, before I send things, LOL! Love this post! So cool! 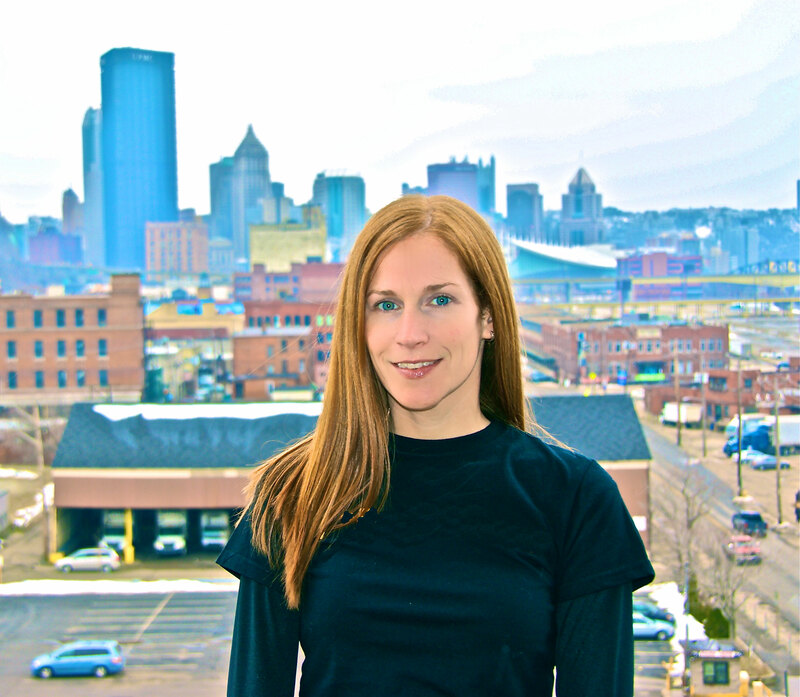 Hope to run in Pittsburgh some day! Thanks! You should do one for Rochester! 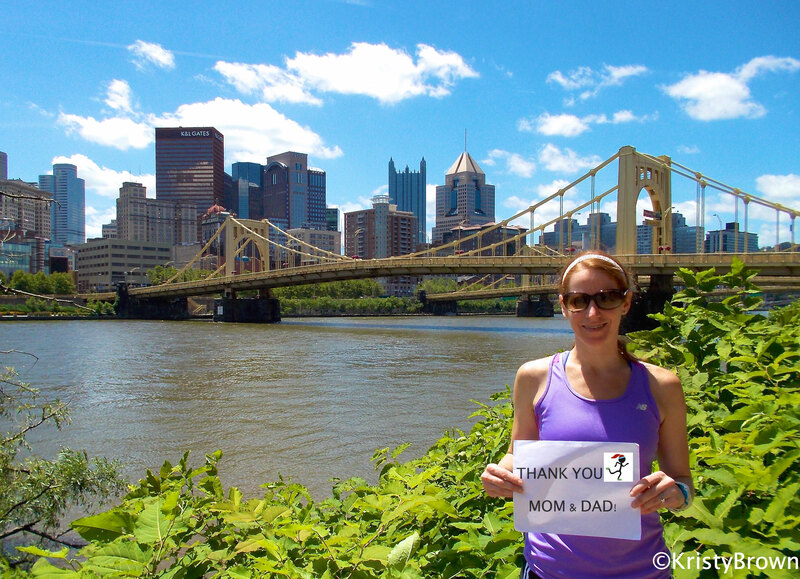 And yes, you’ll come run in Pgh some day!